Pre Christmas I submitted an Arts Council of Wales application for a grant to complete the below proposal, documentary photography exhibition......it was recently awarded. The resulting works will be curated by ffotogallery. It will be exhibited at the Wales Millennium Centre, Cardiff, 1st floor gallery space during June 2017 - covering volunteer week and refugee week. 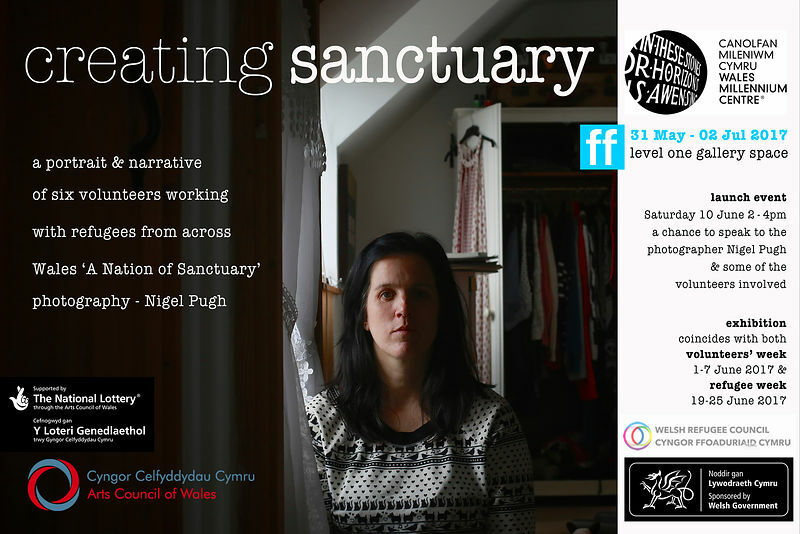 ‘Creating Sanctuary’ involves the creation of a photographic portrait of volunteers in Wales working with refugees. It will explore how photographic portraiture and narrative encourage others from the local community to accept and assist the integration of refugees, or increase volunteer numbers to work with refugees, echoing many of the values of voluntary action here. The project will enable people to share their stories, looking at commonality and differences, and what makes a cohesive community. The resulting works will be the combination of photographic portraits and text contributions. Typically, the questions I will pose will be; what was it that brought them to assisting refugees, what reward do they get from volunteering, what has been their struggles, what would you say to your wider community to encourage others to be welcoming, or to work with refugees, what does volunteering bring to community? Typically, I will look to formulate co - produced, responsive pictorial narratives that best illustrate the volunteers story in working with refugees. Within his project I am looking to identify fundamental human commonalities based around the themes of home, work and community and what they mean to us; bring to our lives. My subject volunteers sought, all share the commonality of volunteering their time to working with refugees. Beneath that lies a common thread of 'purpose', work, security of home, family, friends, community, creativity, camaraderie, healing, sharing loss and grief. In an 'ideal' society the ability to access these components is essential when required. This project seeks to illustrate and share those core human requirements, that are being created by those who have volunteered in Wales to assisting refugees. Refugees whoever they are, regardless of where they are from, have had those basic human requirements wholly or partly removed. This project recognises, illustrates what the 'sanctuary maker' is assisting to re create, reinstate. The resulting exhibition of the volunteer co-produced portraits and narratives will partly serve to fulfil a 'sometimes' vital human need, recognition, and celebration. Though recognising this recognition is not always 'sought', often the opposite. It seeks to shift the narrative away from the controlled national media, aiming to localise the narrative back toward demonstrated compassion and humanity, that we can all relate to. With the assistance of the Welsh Refugee Council, we are looking to identify six individuals from across Wales, volunteering in divergent ways to assist refugees. This also complements the Welsh Refugee Council’s expressed intention to then tour the exhibition across Wales; the touring venues being as close to the participants as possible, increasing the identification with community members and locations. I will look to spend at least two days with each of the volunteers to co-produce their photographic portraits and related narratives. We will explore their personal surroundings, community, and associated places of voluntary action. We will look to identify personal outcomes for the volunteers and the people they have assisted, whilst considering the impact on the wellbeing of their community. The project addresses the Governmental priority that Wales becomes a "Nation of Sanctuary". The project sits within an era of escalating societal, political and media fed, xenophobic rhetoric. Wales now has democratically elected UKIP Assembly Members, the threat of Brexit and closing borders, refugee crises and the displacements of peoples occurring world wide. All of this currently being exacerbated by increasing climate change disasters, compounded by political factors such as conflict or persecution. All works will be made available for online content during and after the exhibition. The chief subject matter of this project are the volunteers working with or on behalf of refugees. Refugees will not feature as part of this documentation, although their presence may be eluded to. The subject volunteers to be fully informed and bought in to the project. As once the public release forms are signed and the portrait sessions are done, retracting their participation will be very difficult time wise. Guide questions: to be sent to the subject volunteers to consider and responded to. 'On initial meeting', I will require you the subject volunteer to sign a public release form. I would also like to collect your response to the below 'guide questions'. Your written response to the questions need not be more than 1500 words, typically filling three sides of A4 at 12pt type size”. * please include anything I will not thought of! NB the 'human story' of the volunteer, 'the emotive' is what we are after. This project is as much about the story as the photographic portraits. The images and text will also be available at the exhibition in the form of a newspaper, in both English and Welsh. It will also include a spoken/ written response from my own observations and conversations with the volunteers. In total, eighteen A1 framed images will be exhibited at the Wales Millennium Centre, Cardiff, for the month of June covering both 'Volunteer Week' and 'Refugee Week'. During this month, it would be ideal if organisations would like to engage, invited your community to come to the exhibition, to engage and feedback. This topic does not belong to me. This can be done by arrangement with myself. Or if any of you would like to arrange outreach talks or presentations, at the exhibition, that would be great too. The Welsh Refugee Council has also expressed an interested in then touring the exhibition around Wales as close to those volunteer communities featured as possible. Photographic sessions two days with each volunteer, or set of. I am aiming for the portraits to be celebratory, proud, dignified. For the community shot I would like the subject volunteer to dress in 'Sunday best'. I am looking for 'a very human narrative' the emotive to share, not factual. I am particularly interested in long term volunteers, exploring volunteer fatigue and the very, sometimes, 'human' need for recognition. A small group of individuals can be considered as one of the set of six areas, but it would still be three images. Willing participants will be happy to sign a model release form. As the portraits will be used in promotion on associated online platforms, social media and related publications, press and media. The six individuals are to be from as wide a field around Wales as possible. If you have any questions. or wish to nominate, please contact myself here initially ASAP. 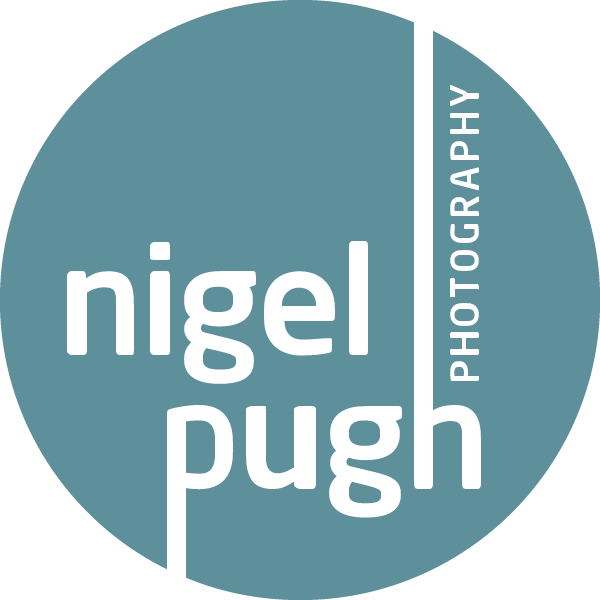 Or through my twitter profile @nspugh, Facebook @nigelpugh.photography.